2017 No. 2 Top Small Hotel in the U.S.
College of the Ozarks has candidacy status with the Transnational Association of Christian Colleges and Schools (TRACS). TRACS is recognized by the United States Department of Education, the Council for Higher Education Accreditation and the International Network for Quality Assurance Agencies in Higher Education (INQAAHE). The College has long been committed to Christ-like goals and practices in its recruitment efforts: to operate with honesty, integrity, kindness, and respect. 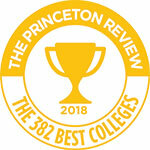 Additionally, the College belongs to the American Association of Collegiate Registrars and Admissions Officers (AACRAO) which is also committed to sustaining professional ethics and practice. Founded as the School of the Ozarks in 1906. The Junior College started in 1956. Four-year program started in 1965. Renamed College of the Ozarks in 1990. 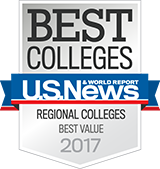 Located on a 1,000 acre campus overlooking Lake Taneycomo at Point Lookout, Missouri, 40 miles south of Springfield, near Branson and Hollister, Missouri. 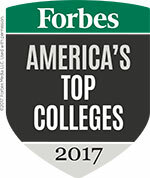 Forbes, "Top Colleges" and "Best Buy Colleges,"
Templeton Honor Roll, "Character Building College,"
Money Magazine's "Best Buy College Guide,"
Barron's "300 Best Buys in Higher Education,"
Princeton Review, "The Best 331 Colleges,"
Currently, the College has 91 full-time faculty members; the majority hold the doctoral degree. 190 staff members. The current student-faculty ratio is 15:1. The College offers Bachelors of Arts, Bachelor of Science, and Bachelor of Nursing degrees.